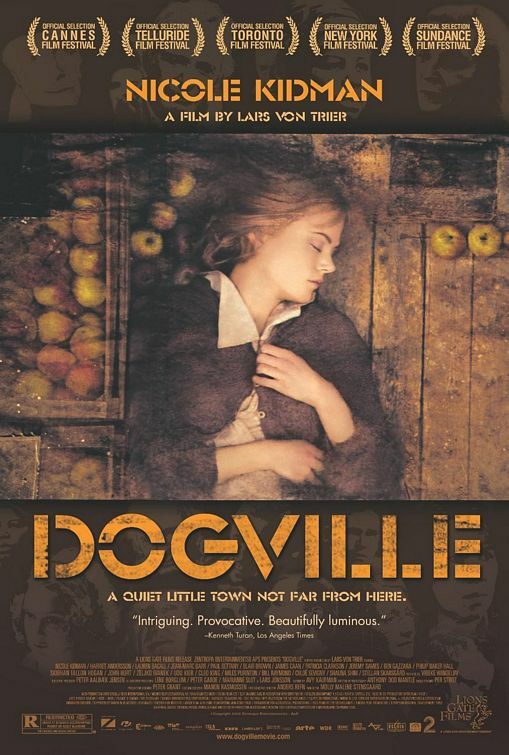 Set in an American Town in the Rocky Mountains in the 1930s. Lars von Trier re-explores the concept of goodness, but this in an idiom very different from that of his Gold Heart Trilogy (Breaking the Waves, The idiots and Dancer in the Dark). 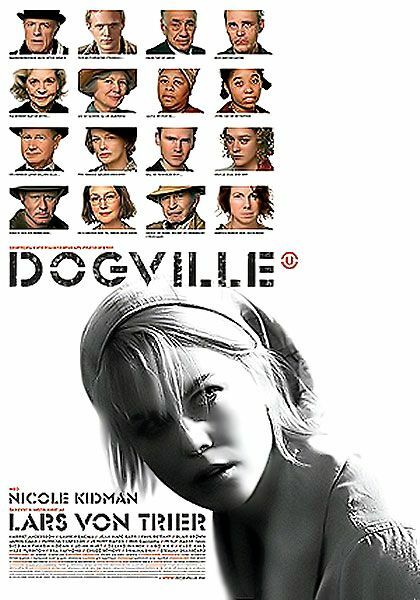 DOGVILLE is shot exclusively in studio with a minimum of props once again allowing the actors' maximum freedom and full exposure inspired by televised theatre of the 70s. 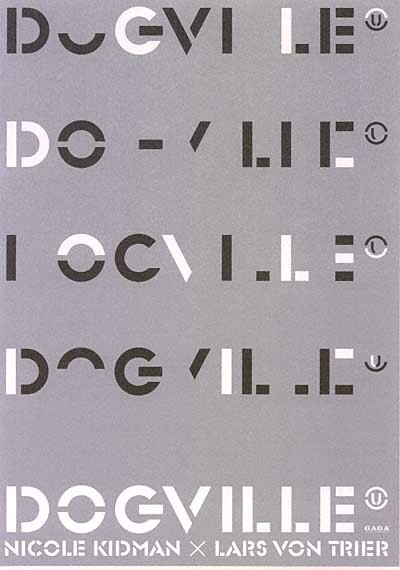 In DOGVILLE Trier works extensively with light, sound, score and music to obtain and heighten dramatic atmosphere. Nicole Kidman is officially the next Meryl Streep After her astonishing turns in EYES WIDE SHUT, MOULIN ROUGE, THE OTHERS, and THE HOURS, Nicole Kidman held promise as the next Meryl Streep. 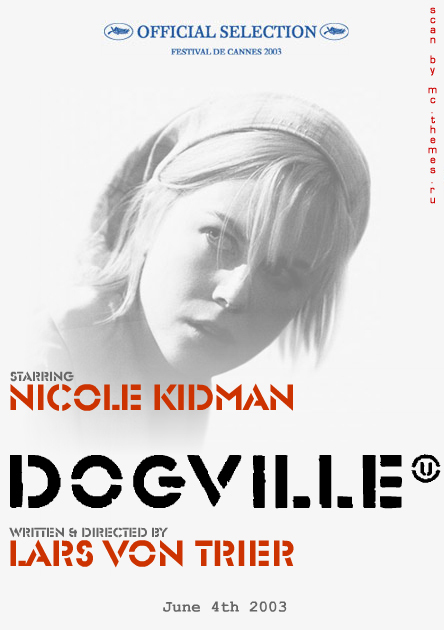 But following her unforgivable performance in DOGVILLE, she more than earns the title. One of the most striking and memorable films you will ever see (and the lack of sets actually helps), this violent, shocking film is a must for all film fans. 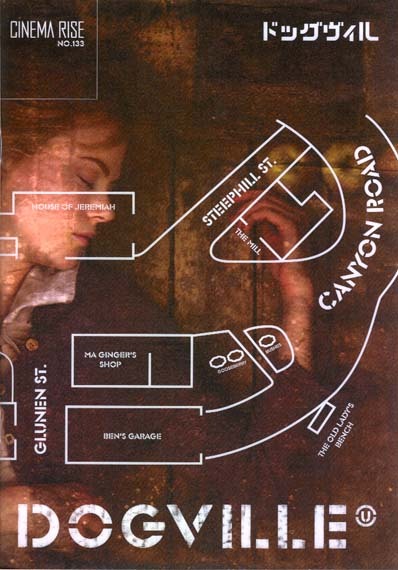 I cannot wait to see Kidman in COLD MOUNTAIN!